I’ve been on the spiritual path for many years, not really aware that my vague desire for enlightenment was also accompanied by a desire to be connected in some way to others on the path. Not happy with my birth family, there was always that longing to find others who shared the desire I had to better myself or expand awareness in some undefined way. In my late 20’s, I arrived in Berkeley, living in a commune with people that I thought shared similar desires and values. Thinking some vague psychological component was needed to fill in the gap in my personality and make me whole, I actually landed upon a commune that shared the same goals. We lustily embarked upon alternative healing methods such as gestalt therapy, psychodrama, massage and Rolfing, all of it designed to peel away layers of unworthiness that had built up over the years. A strange mixture we were in this particular commune: a tax collector, masseuse, legal secretary, dancer, survivalist, secretary and the piece de resistance, a woman claiming to be psychic, but whom through consensus, we labeled as mostly nutty. We ate, socialized together and sometimes slept together, always trusting that this mismatch of association would bring together some feeling of connection that could envelop and nurture us as we proceeded through life. While our expectations wore off after a while, it was still a great adventure with a good group of people with honest intentions to retrieve or reclaim parts of themselves. I went off to the Esalen Institute after four years and there was the newfound hope that I would further expand my awareness amidst a group of people who were truly on the cutting edge of exploring consciousness. Esalen brought together the current great thinkers of our times, combining advanced experience and knowledge with admittedly good dope and LSD. Again, I found myself part of a community intent on uncovering, healing and reaffirming areas within themselves that had been unacknowledged or long repressed. Whatever criticisms have been leveled at Esalen, I can honestly say that my cohorts were and still remain sincere seekers of consciousness. One night however, to my surprise I had a Kundalini experience that catapulted me out of my ordinary way of thinking. I had been granted a tiny view into an alternative reality, which seemed to contain God and some guy named Baba. Terrified at this unknown experience, I found myself hoping others could explain what had happened to me, but my Kundalini experience was viewed as some type of psychological aberration rather than a window into a new exciting reality. The unexplainable could not be explained. Leaving Esalen seeking to confirm my new awareness, I eventually found myself more than 35 years ago at the feet of my guru Ma Jaya with a new community of people whom I was told to refer to as satsang, which like the Buddhist word sangha, was considered a necessary aid on the spiritual path. I really didn’t understand the purpose of satsang. Satsang at Kashi certainly did not adhere to any spiritual ideal that I had known. Hard to relate to, I felt as if it was strung together from all types of humanity without a thought given to similarities, similar to Noah’s Ark, no two alike. It was hard for me to believe that we shared a similar desire. In fact, during some of my depressing moments, I began to feel that perhaps I had “de-evolved” and was being punished for some karmic misadventure. These people were certainly not tied to any conventional expression of spirituality and felt free to express all kinds of feelings unabashedly, whether it be tears, anger or depression. Even I, who desperately tried to hold onto what I thought was spirituality, found that for the first two years I was with Ma, I was crying endlessly. This was no merry band of followers, with former lives ranging from lawyers to drug addicts to disenfranchised Native Americans, but that seemed to confirm Ma’s statement that she had asked for and received the worst. If Ma were the Statue of Liberty, we unfortunates were somehow chosen to be her willing but disarrayed followers. If not for the fact that there was no shortage of unconditional love, moments or bliss dispersed amongst the killings she abundantly tossed out in those early days, we might have all left. However, many of us still hung in, believing she was the one who could give us what we most desired—this profane speaking, unconventional, false eyelash wearing Brooklyn guru. I can’t tell you how many times I eagerly packed and unpacked my bags. Of course, out of respect for Ma I would inform her of my decision to leave and then there would always be the inevitable, “Are you here for them or for me?” I didn’t know that I was always there for “them” too. For anyone to stay, what had to happen was what Ma would refer to as the “flip,” something in the ego finally dissolving, revealing the true choice underneath that had always guided us. I was to later call it following my soul rather than my personality, releasing what was just part of a useless ego with which I had identified. That identification I found was indeed very strong and probably takes lifetimes to dissolve, with no awareness of how tightly it grasps us. Sometimes, I remember what it was like to just look into Ma’s eyes. She would say she had the eyes of a dead goat, meaning that she was empty of her personality and her eyes could magically reflect you back to yourself. There are times now since Ma has passed that I feel her staring out of my eyes, those rare times when I am not fixed by who I think I am. Lately and luckily for me now too, I sometimes see this same emptiness in the form of kindness or compassion in the eyes of my brothers and sisters at the ashram. When I forget my path, their depth reminds and comforts me. I have come to appreciate and be grateful for satsang, who as it turned out, becomes the family I had been searching for. On my good days, I know we are all held in Baba’s finely knit blanket that expands to admit anybody who desires to follow a path with heart. Like a broken record, I say that the magic is still here, the essence remains. That old saying that home is where they have to take you in speaks to me in a way that it never has. I hear its siren song, come to Kashi, we are your family. 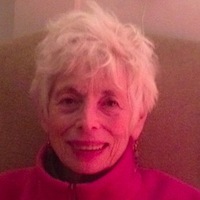 Uma Simon has been Ma’s devotee since 1978 and it was an extraordinary gift to have known and studied with her. Her guru Ma Jaya Sati Bhagavati left her body two years ago. As well as being the Resident Intuitive at Kashi Ashram, Uma is also the Spiritual Explorer for Ma’s India, a spiritual gift store in Sebastian, Florida where she answers questions such as “What is the best kind of incense?” and “How do I know when I have found my guru?” You can write Uma or contact her via her website or on Facebook.